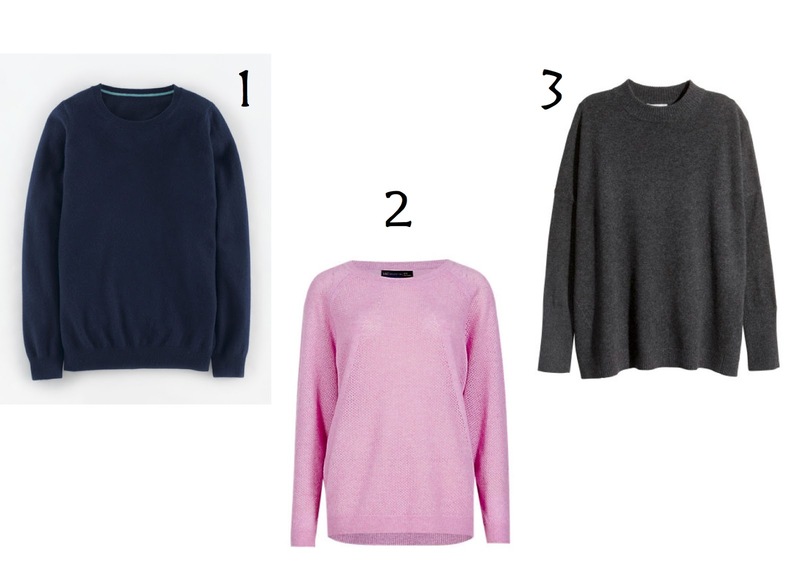 One of the things I love about winter is warm cosy jumpers, I love the feel of it against my skin and it's definitely an easy item to throw over any outfit. 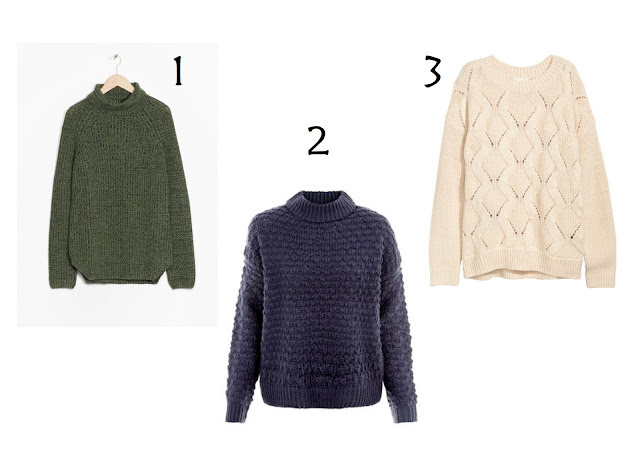 It looks great over a dress or trousers or even over a shirt when layering, to be honest, it looks good on anything. Cashmere jumpers are my favourite, and although it can be pricey it's a good investment to have in your wardrobe. 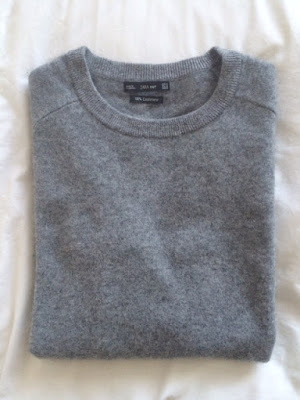 I was lucky to purchase one last year in the Zara sale for half the price, but places like H&M and Uniqlo have reasonable prices for cashmere jumpers. 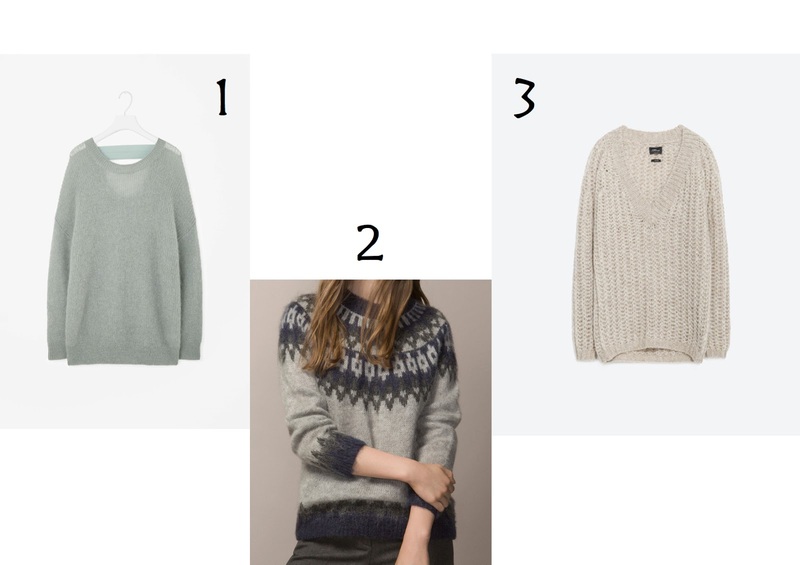 Another favourite of mine are big chunky knit jumpers, here are a few I've spotted already and have my eye on. 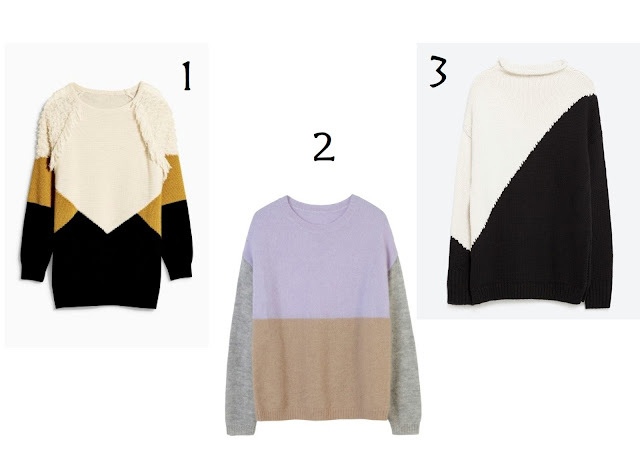 I am also loving colour block jumpers, great to brighten up plain bottoms or bring some life to an outfit. And lastly those fluffy jumpers, very wintery and dare I say in October, very Christmasy.